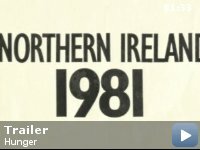 Taglines: A compelling and unforgettable portrayal of life within the maze prison at the time of 1981 IRA hunger strike. 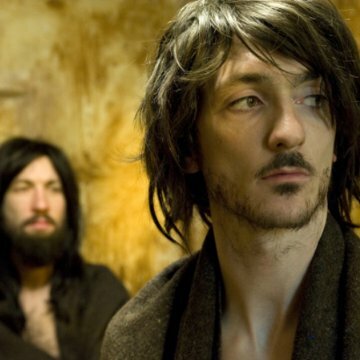 The second medical attendant (one with mustache) who takes care of Bobby Sands in the hospital, has a ''UDA'' tattoo on his left hand. UDA is shortening for Ulster Defence Association, a loyalist paramilitary organization in Northern Ireland. Bobby Sands: When you're hung from a cross you're gonna say anything. Jesus offers him a seat next to his daddy in a place called paradise you're always gonna put your hand up and have a piece of that. Father Dominic Moran: Aye. Even when it's nailed to your cross. Bobby Sand's story has been told before on screen, but never with such raw intensity and unrelenting artistry as in Hunger. 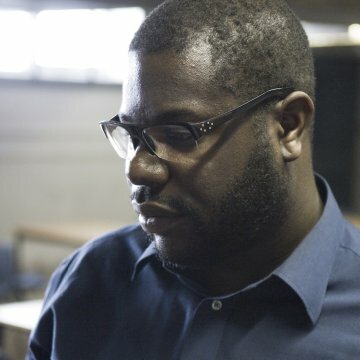 The film is directed by Turner Prize winning artist Steve McQueen. While his art has often been part of the film medium, this is his first entry into feature film-making. The film sparked both controversy and applause at this years Cannes Film Festival, with both disgusted walkouts and rousing ovation. It the end it landed McQueen the Camera D'or. While the film follows the final weeks of Bobby Sand's hunger strike, it is equally about recreating the atmosphere and conditions inside the infamous Long Kesh Maze Prison. Its nearly a half hour into the film before we even meet Sands, in fact. We're introduced to a prison guard, who outside nervously checks his car for bombs, quietly avoids his comrades, then becomes as vicious as any other when brutalizing the inmates. We're also first introduced to a new inmate, who, as per the IRA standard, refuses to war a uniform and instead goes simply wrapped in a blanket. He and his cellmate smear the walls of their cells in feces as part of the no wash protest. 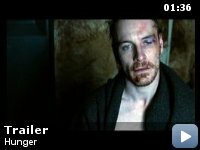 Bobby is played by Michael Fassbender, who gives a quietly powerful performance. 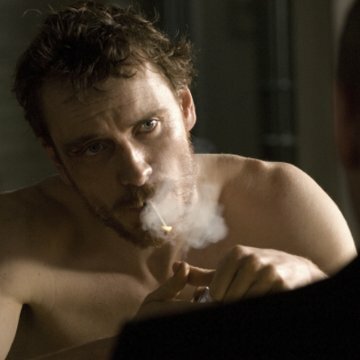 For the film he underwent a medically supervised crash diet, one rivaling - if not outright surpassing - that of Christian Bale in the Machinist. He moves throughout the film with a sense of determination and dedication. It is difficult to go into any detail about plot, as the film more or less moves patiently and quietly towards the inevitable. And the key word may be quiet. McQueen claimed that he originally envisioned doing the film dialogue free. Indeed, much of Hunger is free of dialogue. However, McQueen, as he puts it, felt it would be more powerful to go from vocal silence into an avalanche of dialogue. And so the films centerpiece was born - a 20 minute stationary shot of Bobby speaking with his Priest. In a film that is filled with a dark heaviness in a cruel prison atmosphere, that meeting lifts a weight for a time, before slowly descending into a sad sense of inevitability. Though that inevitability is liberating, it is nonetheless a profoundly sad one. The film also does not shy away from the cruelty of the British towards the Irish, though it also does not deny the brutality of the IRA at times - as characterized in one shocking moment. However, anyone with any inkling of rational knowledge on the Irish struggles knows that the IRA was never simply a terrorist organization, but a rebel group that did from time to time employ terrorist tactics. Like all anti-state organizations, however, the IRA did not exist for the sake of conflict, but because of callousness and cruelty. McQueen reminds us of the cruelty and arrogance of the British particularly through the cold words of Margaret Thatcher, speaking shamelessly about Sands' strike. There have been many fantastic films about the Irish Struggles, with some of the best coming in recent years (Ken Loach's fantastic Wind that Shakes the Barley, and Paul Greengrass's Bloody Sunday, to name two of the better). This one, I think, may be the best. At least from an artistic and purely visceral standpoint. McQueen captures his scenes in jarring compositions, with all the skill and artistic imagining of a true artist. From the opening sequences, Hunger promises something more than just the standard. Whereas most political films focus all their attention on the message, Hunger focuses on the feeling, and never strays from its artistic goals. This is art, from its opening to closing frames. It's a boldly crafted and brave film. The cinematography and direction are assured, moving slowly and unexpectedly, always beautifully even in its darkest and dirtiest moments. I believe this truly is a great masterpiece. McQueen has proved himself as a masterful artist of film-making as well with Hunger.